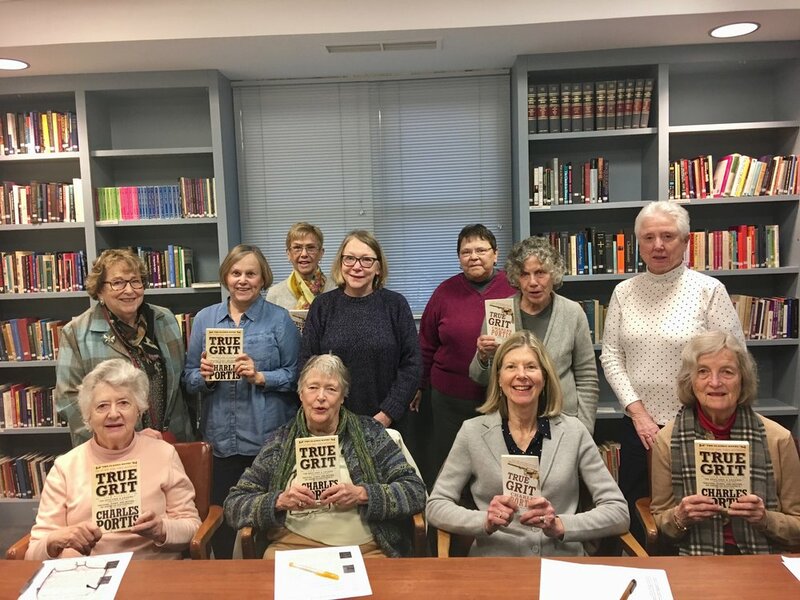 St. Matthew’s Book Club is open to all interested readers and meets monthly in the Church library or Classroom C on the third Thursday of the month. Our reading selections offer a way to explore books through fellowship and discussion and are led by a different parishioner each month. Our discussions are lively and have been thought provoking and enlightening. Contact Holly Weise (609-737-1064) for more information or suggestions. All are welcome! If you are attending for the first time, please call Holly to confirm the date. The dates and selections appear below and usually appear in the Sunday bulletin and monthly newsletter. Click here for our BOOK CLUB ARCHIVE of past choices. All meetings are in the library on Thursdays at 10:00 am. We fluctuate between the third and fourth Thursdays of the month, depending on when the library is available. Drawing upon the perspectives of neurologists, anthropologists, and historians, as well as her own research, Pagels opens unexpected ways of understanding persistent religious aspects of our culture. A provocative and deeply moving account from one of the most compelling religious thinkers at work today, Why Religion? explores the spiritual dimension of human experience. The Ninth Hour, McDermott's eighth novel, is about an order of nursing nuns and the needy families, elderly shut-ins, disabled invalids and strapped widows they care for in a predominantly Irish Catholic neighborhood of Brooklyn. The Little Nursing Sisters of the Sick Poor are not the cruel knuckle-rappers that dominate parochial school fiction. The unpaid, unlicensed equivalent of social workers and visiting nurses, they trudge from one derelict walkup to another, bearing applesauce, poultices, and aspirin. They change sheets, diapers, and bedpans, scrub homes and wipe bottoms. They may toil thanklessly and view their mission as "the pure, clean antidote to filth, to pain," but McDermott makes one thing clear as she burrows deep into these Sisters' psyches, histories and not always sanctioned behavior: They are distinct, opinionated individuals underneath their impersonal habits. Despite their vision-blocking bonnets, they see everything, including the ugly side of humanity — nasty, drunken husbands, a brother who abuses his sisters, a whining, ungrateful invalid, and greedy priests who live in relative comfort while taking credit for their ceaseless labors. But they are also willing to look the other way and flout Church rules and moral edicts when they see fit.